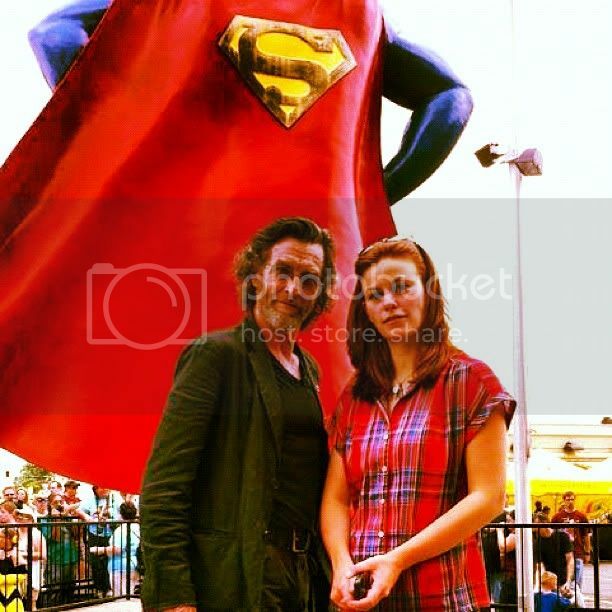 The Superman Fest in Metropolis happened this past weekend - very jealous of the folks who got to see John Glover & Cassidy Freeman! Michael got a mention! That little tidbit must have come from JG & it brings to mind a certain quote from Tom: "You know what? People barely notice me! It's always Michael Rosenbaum who gets the attention. It's that bald head that gets him noticed. Last night we were staying at a hotel and I wanted to show Michael the pool, but it was fenced off and the hotel security guard just wouldn't let me past. Then Michael appears and the guard says: "Oh it's you - cool, go and have a look, but it's because I love your show, ok?" = Tom & Michael naked in a pool TOGETHER! I think we need a system so we always know which hotel Michael is staying at so hotel pools can be watched. He is Too Much Man to be con fined in a bathing suit!